Education Affiliates (EA) was involved in a lawsuit for violating the False Claims Act (FCA) according to the US Department of Justice (DOJ). Five whistleblowers came forward with information regarding the for-profit education company, stating that EA was submitting false information to the Department of Education to receive federal student aid for students enrolled in its programs. The DOJ recently reached a settlement with EA for $13 million. 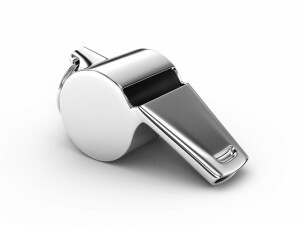 The whistleblowers, who brought the case under the qui tam provisions of the FCA, will each receive a percentage of the whistleblower’s share of $1.8 million. The whistleblowers who came forward with this information helped the government prevent further fraudulent billing by EA. According to the lawsuit, numerous students who did not have the required skills were still accepted into EA and were able to have their education funded by the federal government through Federal Student Financial Aid (FSFA). In order to qualify for Federal Student Financial Aid (FSFA), the largest provider of student aid in the country, a student must have either a high school diploma or a GED. Post-secondary schools, like the ones EA operates, are responsible for verifying that students seeking enrollment in its programs also qualify for financial aid. Additionally, students who apply for FSFA to attend trade and professional schools must show that they have the necessary skills to complete the educational program and work in the field. EA was able to allow these students into the school by creating false high school diplomas, changing test scores, falsifying students’ federal aid applications and referring prospective students to “diploma mills” in order to obtain invalid online high school diplomas. The post-secondary school was accused of taking advantage of students by coercing them into enrolling in school when they don’t have the necessary skills to complete the program. As a result of these allegations, several of the school’s employees were criminally convicted. The fraudulent scheme involved admissions representatives and a test proctor. Two admissions representatives, Barry Sugarman and Jesse Moore, and a test proctor, Jacqualyn Caldwell, from the Baltimore EA campus were criminally convicted as a result of the investigative findings. The test proctor was certified to administer the entrance exam onsite at All State’s campus. She was required to seal the envelopes containing the answer sheets after receiving them. However, she did not follow these rules. When an All State admissions representative asked Caldwell for applicants’ answer sheets in order to change some of the answers, she allegedly readily handed them over. The admissions rep would then change some of the answers to help the test-taker reach a passing score. A second representative came up with a different method to change the answers on the answer sheet. The representative would give Caldwell a completed answer sheet, allowing the test proctor to change just enough incorrect answers for the student to receive a passing grade. Between 2008 and 2011, Caldwell allegedly changed the test information for approximately 170 students. In addition to having the test proctor alter the test scores, one of the admissions representatives told prospective students to understate their income from previous years when applying for federal aid. Sugarman and Moore were two of the admissions representatives who plead guilty to engaging in this fraudulent behavior. $1.9 million of the $13 million settlement will go toward repaying the liabilities that resulted from the EA awarding federal financial aid to its students at its Fortis-Miami campus based on invalid high school credentials. This settlement also resolves allegations related to EA schools in Birmingham, Alabama, Houston and Cincinnati. The allegations include violations of the ban on incentive compensation for enrollment personnel, misrepresentations of graduation and job placement rates, alteration of attendance records and enrollment of unqualified students. EA is a for-profit education company, based in White Marsh, Maryland, with 50 campuses around the US. It is a post-secondary school, which offers numerous programs with a specific focus on certain trades. The school strives to give students the necessary skills to operate in the real world as they gain a more specialized education, of first hand experience while studying. It operates under several different names, including All State Career, Fortis College, Fortis Institute, Technical Career Institute Inc., Denver School of Nursing. These schools provide educational programs in Alabama, Florida, Maryland, Ohio and Texas.